Two Apple vets want to take control of your home heating and cooling. 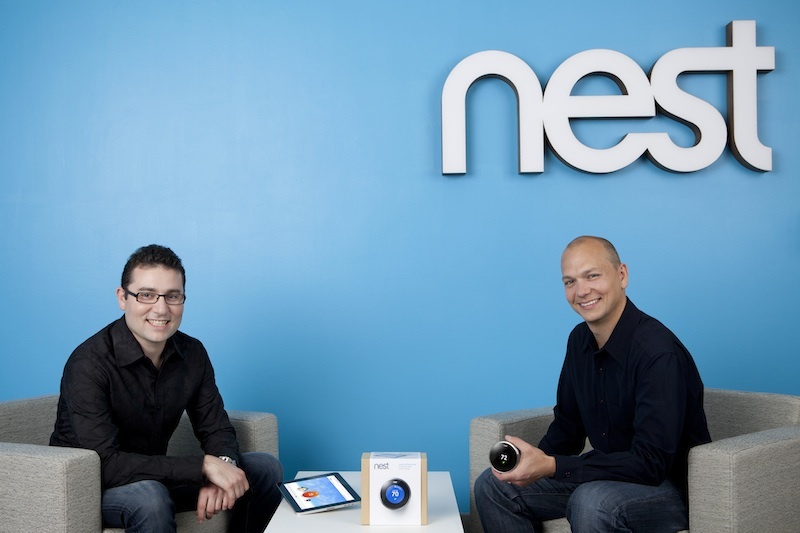 Tony Faddel (known as the “godfather” of the iPod) and former iPhone software manager Matt Rogers have announced the Nest Learning Thermostat, the first product from their startup Nest Labs. The idea behind the Nest thermostat is simple: instead of blindly following a rote schedule and trying to maintain arbitrary settings, the Next incorporates learning behaviors through a series of sensors, algorithms, and—yes—cloud computing. The Nest thermostat adjusts its behavior dynamically to make sure users are comfortable when they’re at home while at the same time saving energy while they’re away—even if that time away wasn’t part of the thermostat’s programming. 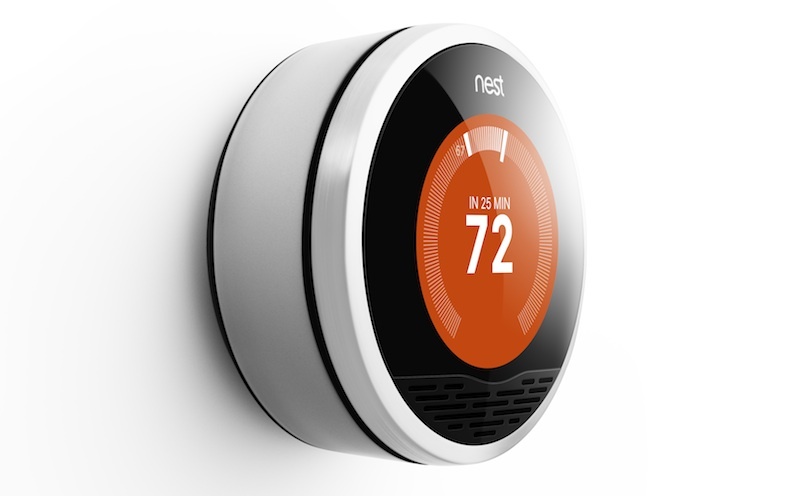 The key behavior of the Nest home thermostat is that it programs itself. Users just set base temperatures, and Nest pays attention to users’ schedules during its first week after installation, and will starting automatically reducing heating and cooling when users are away from home. Over time, the Nest will develop a more-refined sense of users’ schedule and be able to adjust its behavior very finely—for instance, about two hours after users have left the house, Nest will sense they’ve gone and will adjust heading and cooling to save energy. Nest does this with a combination of temperature sensors, a 150° activity sensor to detect nearby movement, and even includes ambient light sensors to keep its display from blinding you if you walk up to it in the middle of the night. Users adjust the Nest with a simple dial: turning it up for heating, turning it down for cooling: the Nest turns orange when it’s heating and blue when it’s cooling. To encourage users to save energy, Nest will eventually start displaying green “Nest Leaf” icons when users set temperatures that represent the most energy-efficient settings. One-off changes to the thermostat settings won’t confuse the Nest, but if a user (say) turns down the thermostat on Friday afternoons two weeks in a row, Nest will remember that next week. But that’s not all there is to the Nest thermostat. The Nest thermostat connects to a user’s home Internet connection via Wi-Fi, which means users can log in to an account at Nest.com to control their home temperature via the Internet from their computer, smartphone, or other mobile device. (This includes managing multiple Nest thermostats per household.) The Nest will also automatically receive software updates via the Internet—no configuration required. The thermostat also grabs weather information via the Internet, so it can adjust its behavior to outside conditions. The Nest thermostat will be available in mid-November for a suggested retail price of $249; pre-orders are available now. Most installation materials come in the box for do-it-yourselfers (basically, the same as installing a lighting fixture), or customers can bundle installation service in with their order.